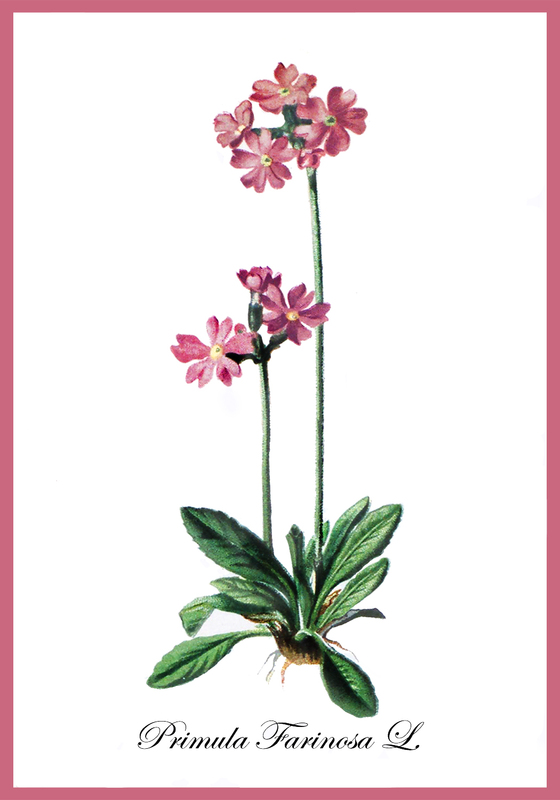 I have made this page with printable cards with drawings of flowers. 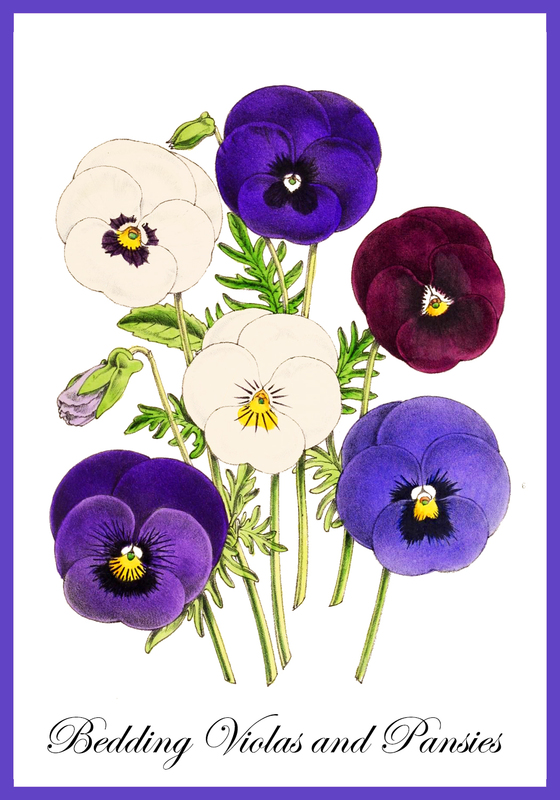 Most of the drawings come from old books, where you can find the most incredible beautiful flower drawings from a time where photos weren’t normally used, and accuracy and a lot of time was used to make these flower drawings. 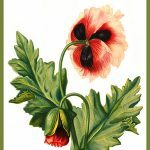 I have chosen the drawings most suited for greeting cards, with consideration to the possible result when they would be restored, and now you can use them for free for your own printable postcards. 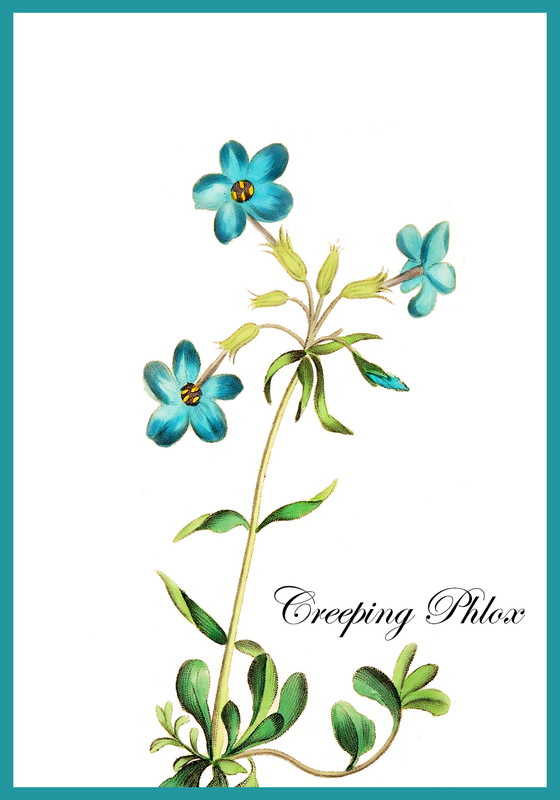 If you have a friend or a family member who likes flowers, these cards will surely be appreciated. 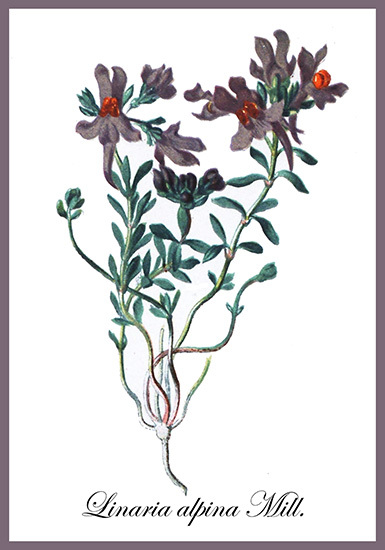 The cards on this page will have the flower drawing on the front, often with the name written as well, like little pages in a herbarium. 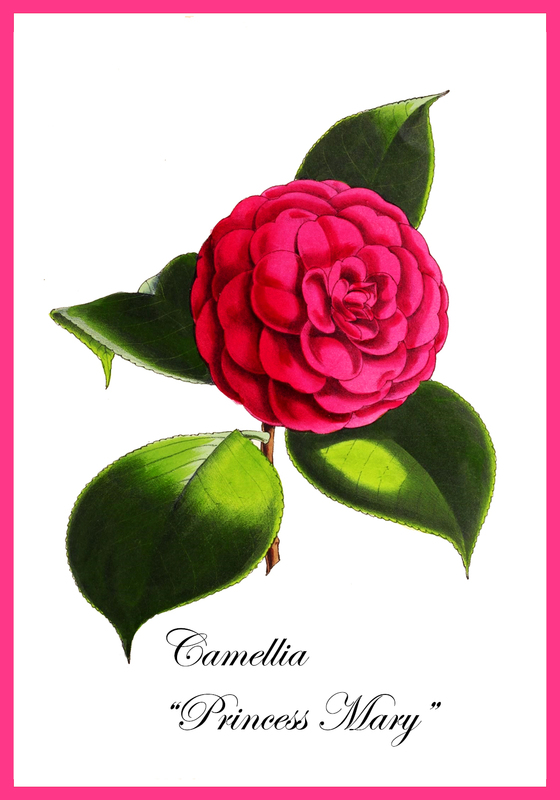 You can write your message on the back of the card, once you have printed it. 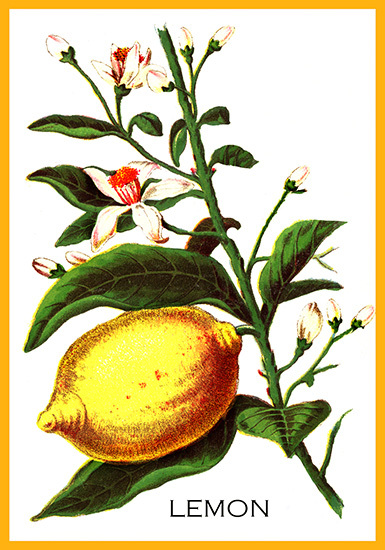 Remember: The cards you see here on this page are smaller, to make the page load quicker. 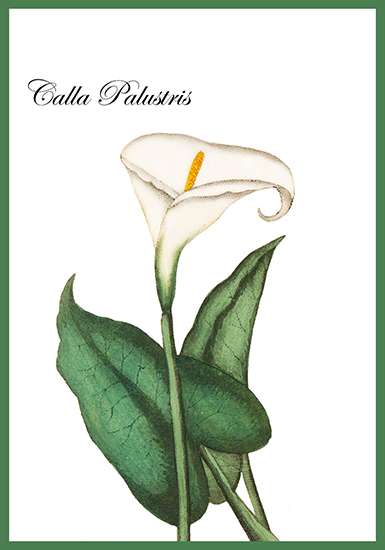 When you have found a card you would like to print, click the picture of it to come to the larger and better printable version in another tab. The size of all the cards will be 3,5 x 5 inches, if you print them in 300 dpi. 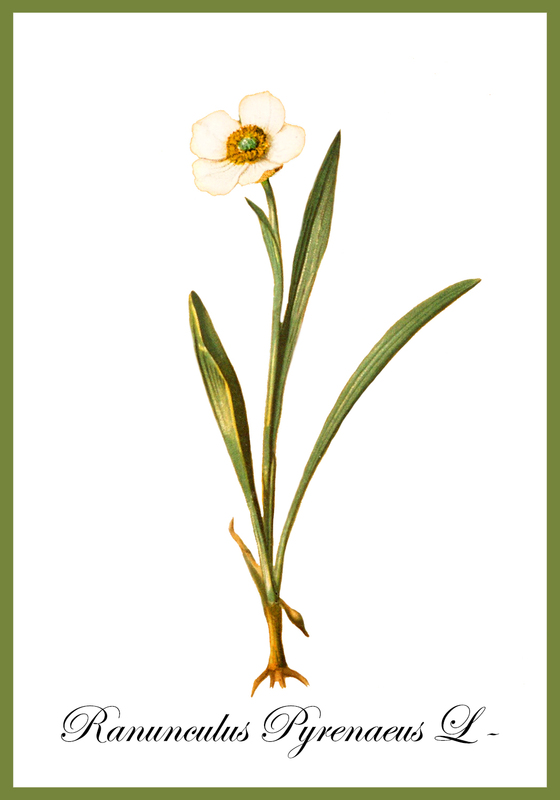 The first flower motives are all flowers and plants used in the kitchen, for cooking. So, these cards will be great to send to anyone who likes cooking or flowers or both – and that includes a lot of people! 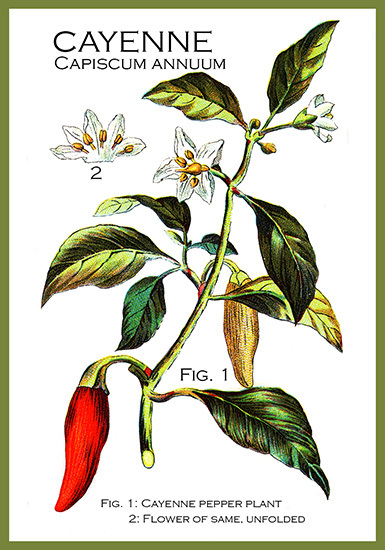 This first card is with an illustration of the Cayenne plant, with fruit and flowers. The next card is with a drawing of the Pimento plant, Myrtus pimenta, with a sectional view of the flower and of the fruit. The next card is with a drawing of the beautiful Lemon plant with a lemon fruit. 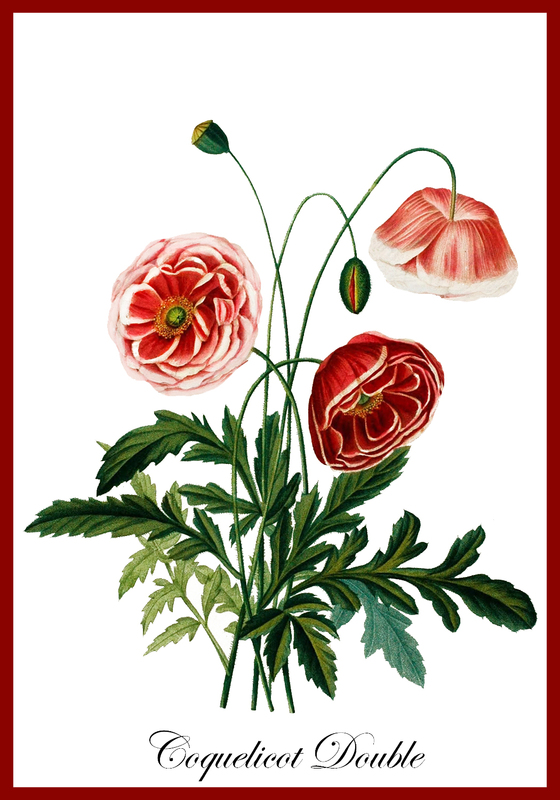 With the 4th flower card there is space for making a greeting or a saying in the left upper corner. 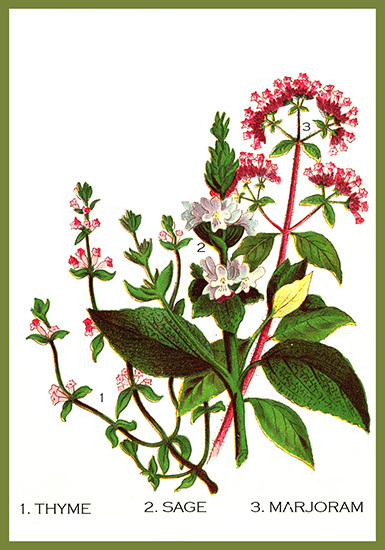 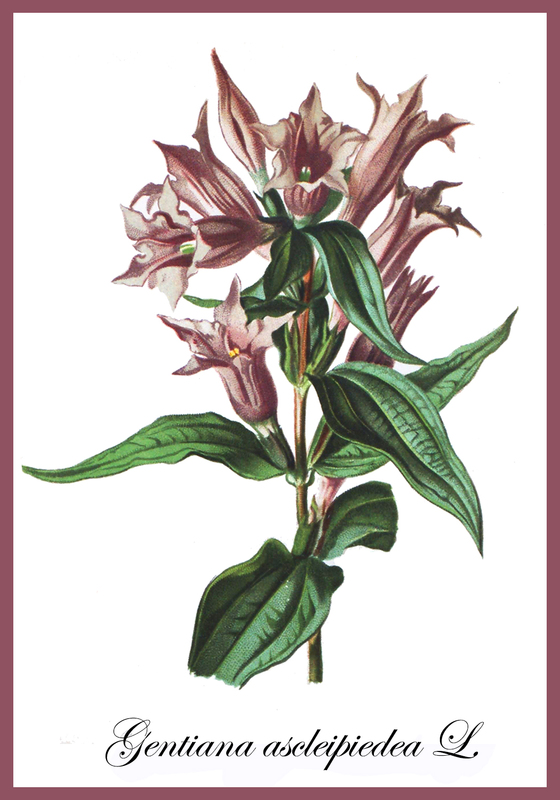 It is a card with illustration of three different plants: Thyme, Sage and Majoram. Next card has a drawing of the Pepper plant, black pepper. 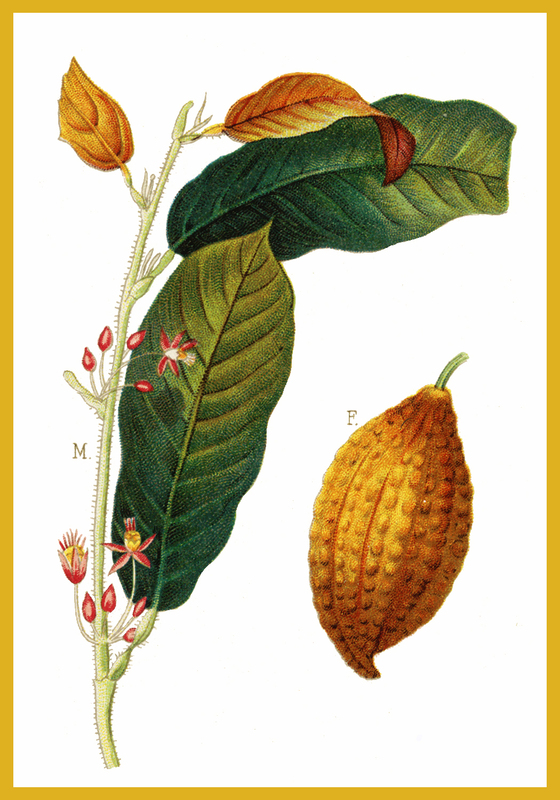 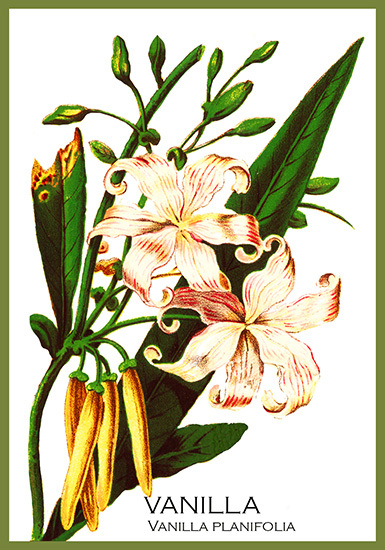 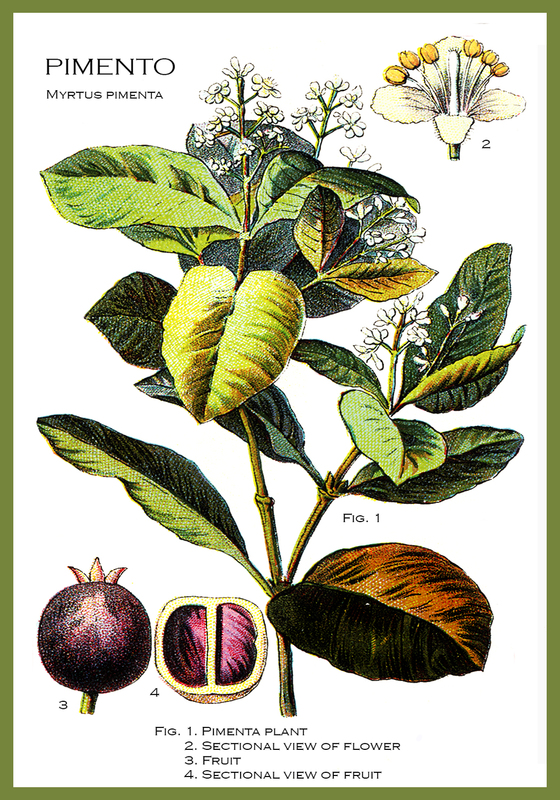 On the flower postcard with the drawing of a cocoa plant and fruit there is no text. 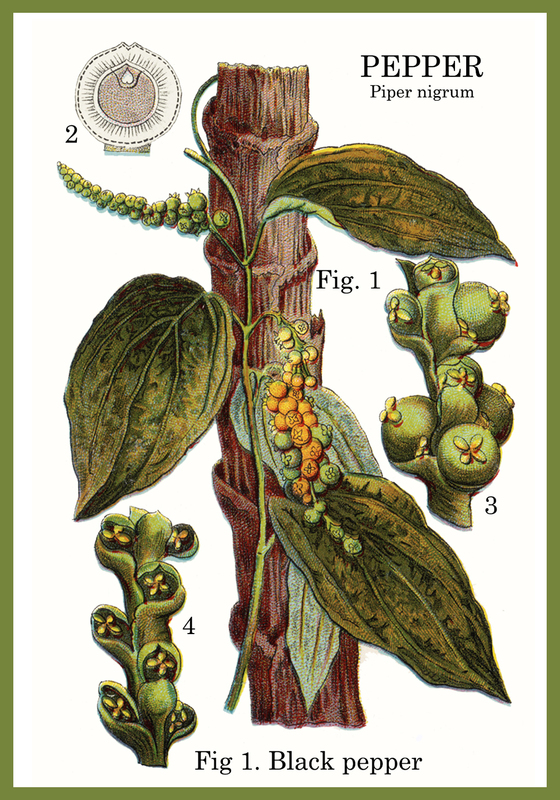 And the last for now: The vanilla plant and a flower greeting card with a bunch of black grapes. 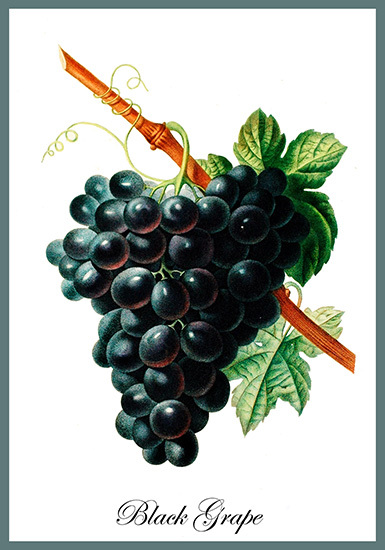 Maybe you could use the card with the grapes as a “get better” card, when you cannot bring the patient the grapes yourself. 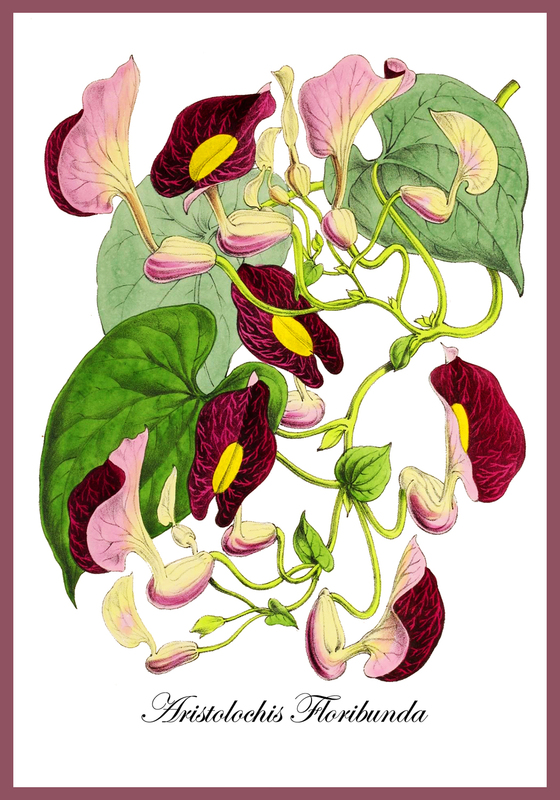 After these flower cards with motives of spice plants and other plant with fruits and leaves you can use for cooking, here comes a lot of flower postcards with beautiful flower drawings of garden plants. 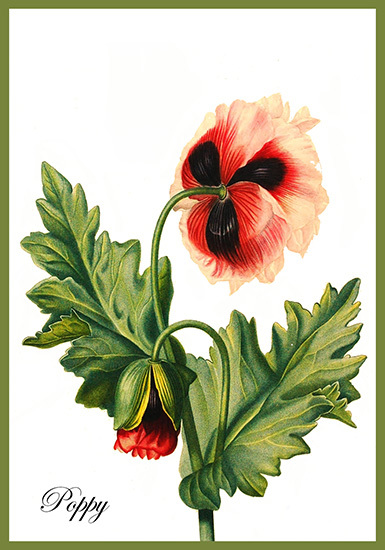 Go to the top of this page with cards with drawings of flowers. 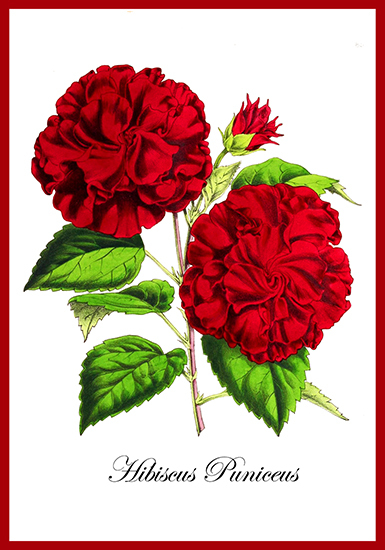 Visit an other page on this site with flower postcards: Happy Birthday Card for You, where you will find cards with photos of beautiful pink flowers.